The Ecofan 806 BelAir is designed specifically for use on the lower stovetop surface temperatures found on many Gas, Pellet or Contemporary Stoves. Size: Base 162x61mm (6.4x2.4”). Height 240mm (9.5”) from base to top of blade. 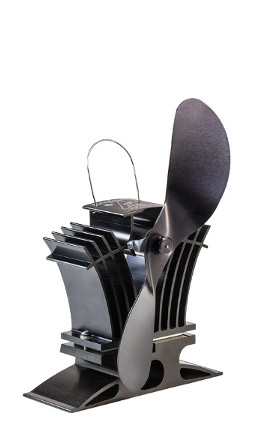 The Ecofan 806 generates up to 140 Cubic Feet (of Air) per Minute. 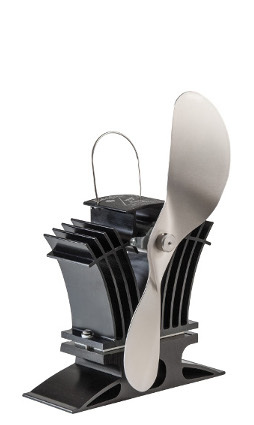 The Caframo Ecofan 806 BelAir is a heat powered fan designed to circulate the warm air created by the lower stovetop temperatures found on many Gas, Pellet or Contemporary Stoves, i.e. those with normal surface operating temperatures of between 75°C and 200°C. These fans do not use batteries or mains power. The 806 BelAir must not be used on a wood-stove or where the stovetop temperature of a gas-stove exceeds 200°C. Warm air is circulated directly into the living area rather than having most of the stove’s heat rise immediately to the ceiling, thereby increasing the heating efficiency of your stove. 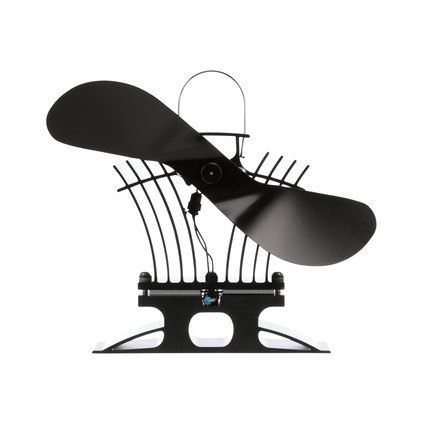 Ecofans start automatically and adjust speed with the stove’s temperature.As the stove heats up the Ecofan runs faster to move more air into the room. As the stove burns down and cools, the Ecofan automatically slows down and stops. It is important to read, and follow, the instructions on the correct placement of the Ecofans to ensure maximum performance.